Home / Dog Accessories / Dog Accessories – Is it fashion or Necessity? This question has been on for many years, a lot of folks ask if dog clothes and other accessories are important or just for fashion. Although we can’t deny the fact that these clothes are cute and provide style and attractiveness, I mean everyone will admire seeing a toy dog or little Chihuahua proudly walking around with these fancy little dog clothes. But there is more to these Accessories than just fun and beautification purpose. As humans need everyday necessities to make our lives more comfortable; our dogs also need accessories to make their life comfortable as well. When we have a dog there are some accessories that simply tag with us along the way. Some of these accessories are a must and some are not. In this article, we will introduce some of the important accessories to have as a dog owner, and why they are necessary. Dog Collars: Dog collars are very essential; a collar can be used to control when taking your dog on walks. You can use a simple collar for easy going and well-trained dogs. You can as well use a collar for identification. Some dogs wear collars attach name tags to differentiate similar dogs. All dogs must have a collar, and all dogs need identification tags on them, along with the phone number and the name of the owner, in case they decide to go walkabout and get lost! Dog Harnesses: Dog harnesses are necessary for traveling with your dog in cars. Harnesses restrain your dog properly so that they do not get injured in an accident or get in your way while driving; the dog finds it hard to resist climbing an empty lap, which can be dangerous while driving. Harnesses are also good for walking your dog, whether you have a dog that pulls or a sneaky dog like mine - who understood how to use the leash to pull out of his collar. 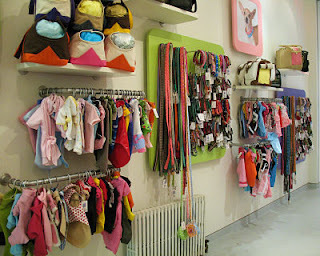 Dog Clothing: Dog clothes are very important and have many benefits in many different situations. Many dogs may not have adequately thick coats to spend a lot of time outdoors comfortably. Just as we are indoor most of the time, so are most dogs. Therefore, as we put on extra clothing to go outside, our dogs can enjoy the same as well. For example, dog coats, which are available in many fabrics, including waterproof, and linings, could be the perfect solution for a stormy day and during the snow. Also, Rain gear will keep your dog dry in the rain, Dog boots will help protect your dog feet from snow, ice or hot, rough pavement and dog sweaters can be perfect for adding snuggle warmth to an older or sick dog. In addition, there are other benefits to clothing, as well. For itchy dogs and dog with allergies, a dog shirt can make the skin less accessible, reducing chewing, licking and scratching. Dog Leashes: A leash is simply a lead that you can use while walking your dog. A dog leash is one of the most important accessories that you must have. It is even illegal in some countries to have your dog walk off leash in public. Leash sizes and length are an important factor too. If you have a big strong dog or a medium size dog, your will have a much better time controlling her with a short leash - especially if you need to cross the road. For a small dog, a longer leash is probably better since they are not strong enough to pull away. Dog Accessories – Is it fashion or Necessity?